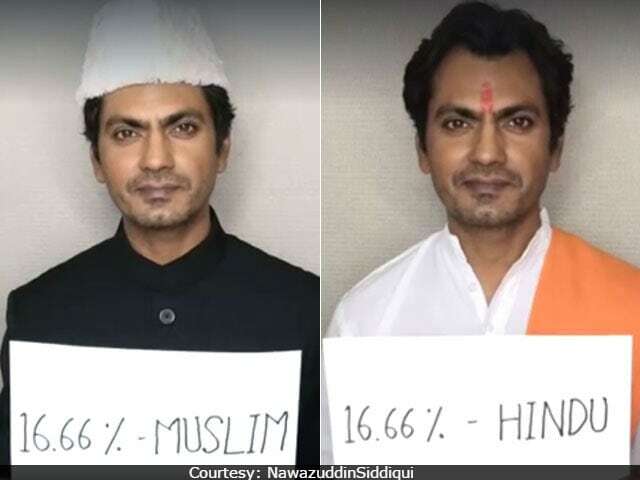 In the one-minute video, Nawazuddin Siddiqui, shares placards, which introduces him and later, he starts with, "I had got my DNA test done and when the report came in, I found I'm, 16.66% Hindu, 16.66% Muslim, 16.66% Sikh, 16.66% Christian, 16.66% Buddhist and 16.66% all the other religion in the world"
"When I discovered 'my soul,' I found out that I'm a 100% artist"
Nawazuddin's post comes a week after singer Sonu Nigam tweeted about being woken up by the azaan or morning call to prayer. In a series of tweets, Mr Nigam, wrote, "God bless everyone. I'm not a Muslim and I have to be woken up by the Azaan in the morning. When will this forced religiousness end in India." He protested against the use of loudspeakers and used the term 'gundagardi.' A fierce debate followed and Mr Nigam also shaved his head after a Muslim cleric offered a reward of Rs 10 lakh to anyone who would do so. Gurmehar Kaur, a student of Delhi University and daughter of a fallen soldier, was the focal point of controversy In February, after she was trolled for a similarly styled video she posted last year. She was trolled for a placard which read: "Pakistan did not kill my father, war killed him." Eventually, Ms Kaur withdrew from a protest against campus violence in Delhi's Ramjas College, about which she had written a Facebook post blaming the BJP-linked student outfit ABVP. 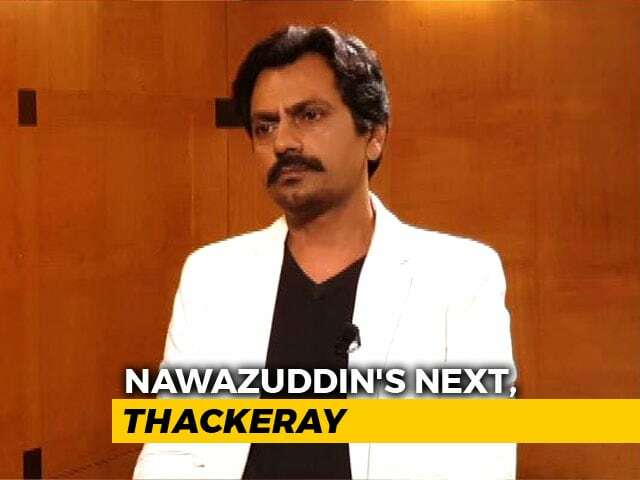 Nawazuddin Siddiqui is the star of films like Gangs Of Wasseypur, Bajrangi Bhaijaan, Manjhi: The Mountain Man, Kahaani and Talaash. He last featured in Shah Rukh Khan's Raees and will be next seen as the title character in Manto, directed by Nandita Das.